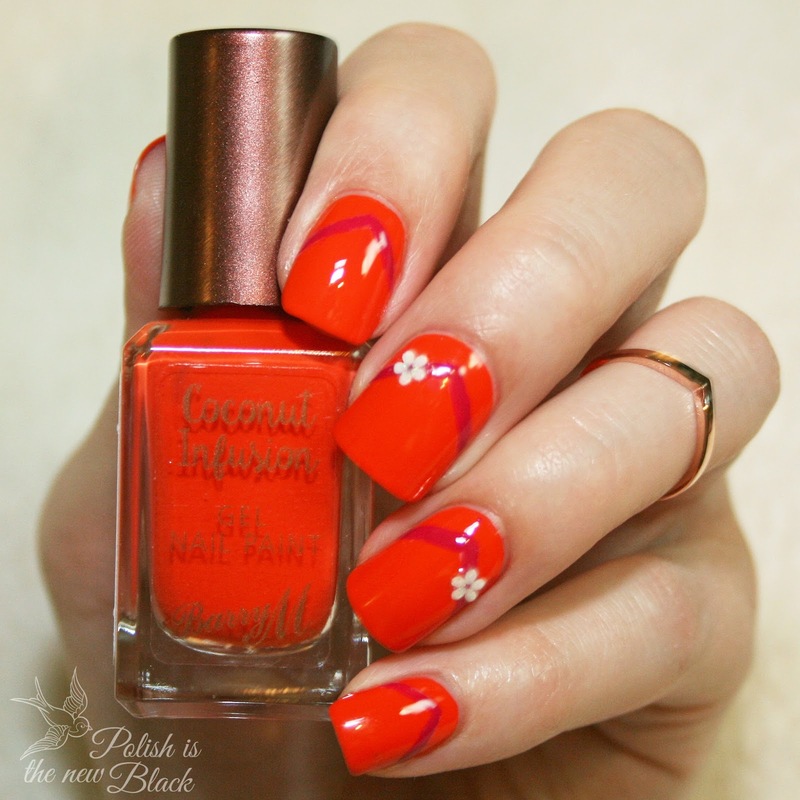 I'm back again with another design inspired by Barry M 'Flip Flop' from the new Coconut Infusion range. So that's it! Not really much more I can say. 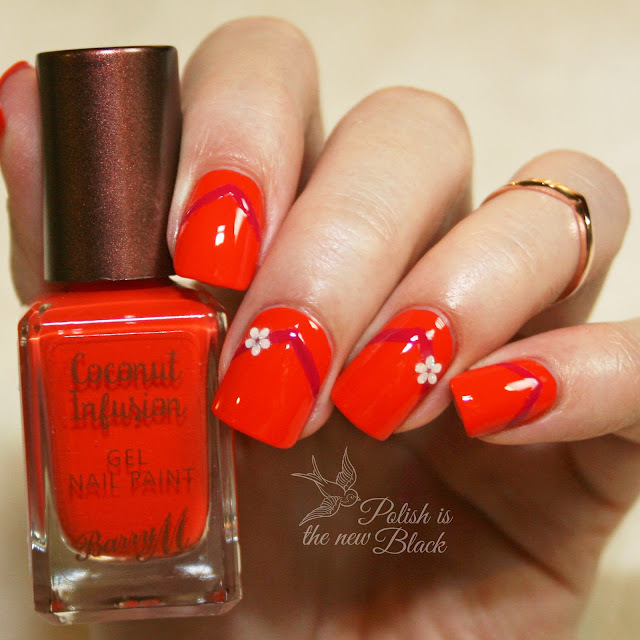 I absolutely LOVE these new coconut infusion polishes. I have a couple more designs to share with you inspired by the other shades and another design I created with all the polishes. Love this design, it's def flip flops but not in your face! I love those tiny flowers too.